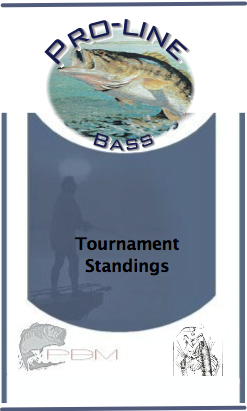 April 22nd Swartswood 1st Place Barry N. - 16.47 lbs; 2nd Place George K. - 13.54 lbs; 3rd Place Frank M. - 7.33 lbs; 4th Place Vinnie P. - 7.01 lbs; 5th Place Bob S. - 5.03 lbs; 6th Place George L. - 3.32 lbs; 7th Place Bill G. - 3.28 lbs; 8th Place Ralph S. - 2.25 lbs; 9th Place - n/a; 10th Place - n/a; Lunker Barry N. - 4.23 lbs dnp - Rich B., Bruce H., Erwin R., Kevin R.
May 7th Flats 1st Place Vinnie P. - 1.47 lbs; 2nd Place - n/a; 3rd Place - n/a; 4th Place - n/a; 5th Place - n/a; 6th Place - n/a; 7th Place - n/a; 8th Place - n/a; 9th Place - n/a; 10th Place - n/a; Lunker Vinnie P. - 1.47 lbs dnp - Barry N., George L., Rich B., Brett M., Kevin R.
May 20th Merrill Creek 1st Place George K. - 20.11 lbs; 2nd Place Bill G. - 16.44 lbs; 3rd Place Ralph S. - 15.88 lbs; 4th Place Vinnie P. - 14.30 lbs; 5th Place Barry N. - 11.97 lbs; 6th Place Frank M. - 10.98 lbs; 7th Place Brett M. - 3.10 lbs; 8th Place -n/a; 9th Place - n/a; 10th Place - n/a; Lunker Vinnie P. - 6.93 lbs dnp - Rich B., Erwin R., Bob S.
Spruce Run 1st Place Ralph S. - 7.21 lbs; 2nd Place Brett M. - 6.38 lbs; 3rd Place Vinnie P. - 6.22 lbs; 4th Place Bob S. - 5.76 lbs; 5th Place Bill G. - 5.08 lbs; 6th Place Barry N. - 4.50 lbs; 7th Place Bruce H. - 3.85 lbs; 8th Place Rich B. - 1.24 lbs; 9th Place Frank M. - 1.02 lbs; 10th Place - n/a; Lunker Ralph S. - 3.76 lbs dnp - George K., Noah H., Erwin R., Rachael M..
July 8th Wallenpaupak 1st Place Bill G. - 5.99 lbs; 2nd Place George L. - 3.28 lbs; 3rd Place Bruce H. - 3.03 lbs; 4th Place Frank M. - 2.95 lbs; 5th Place George K. - 2.85 lbs; 6th Place Ralph S. - 2.47 lbs; 7th Place Barry N. - 1.03 lbs; 8th Place - n/a; 9th Place - n/a; 10th Place - n/a; Lunker George L. - 3.28 lbs dnp - Rich B., Noah H.
July 15th Harvey's 1st Place Ralph S. - 7.68 lbs; 2nd Place George K. - 5.37 lbs; 3rd Place Vinnie P. - 4.79 lbs; 4th Place Bill G. - 4.37 lbs; 5th Place Frank M. - 3.60 lbs; 6th Place Richard B. - 3.41 lbs; 7th Place Erwin R. 2.38 lbs; 8th Place Barry N. - 2.25 lbs; 9th Place Bruce H. - 1.44 lbs; 10th Place - n/a; Lunker George K. - 3.22 lbs dnp - George L., Noah H.
Oneida, 2 Day 1st Place George K. - 20.10 lbs; 2nd Place Barry N. - 17.21 lbs; 3rd Place Richard B. - 16.74 lbs; 4th Place Noah H. - 13.48 lbs; 5th Place George L. - 11.66 lbs; 6th Place Bruce H. - 9.65 lbs; 7th Place Bill G. - 4.71 lbs; 8th Place Vinnie P. - 3.50 lbs; 9th Place Ralph S. - 2.91 lbs; 10th Place Joe G. - 1.43 lbs; Lunker Bruce H. - 4.56 lbs dnp - Erwin R.
Beltzville 1st Place Vinnie P. - 6.12 lbs; 2nd Place Rich B. - 5.77 lbs; 3rd Place George K. - 2.92 lbs; 4th Place Barry N. - 2.41 lbs; 5th Place Brett M. - 1.57 lbs; 6th Place Bill G. - .95 lbs; 7th Place n/a; 8th Place n/a; 9th Place n/a; 10th Place n/a; Lunker Vinnie P - 2.76. - 4.56 lbs dnp - Frank M., Bruce H., George L., Joe G.
Fairview 1st Place Bill G. - 4.74 lbs; 2nd Place Rich B. - 3.24 lbs; 3rd Place George L. - 2.83 lbs; 4th Place Ralph S. - 2.58 lbs; 5th Place Brett M. - 2.37 lbs; 6th Place George K. - 1.26 lbs; 7th Place n/a; 8th Place n/a; 9th Place n/a; 10th Place n/a; Lunker Rich B. - 3.24 lbs dnp - Barry N., Bob S.
Wallenpaupak 1st Place Frank M. - 8.47 lbs; 2nd Place George K. - 8.22 lbs; 3rd Place Bob S. - 7.82 lbs; 4th Place Ralph S. - 6.92 lbs; 5th Place Brett M. - 5.92 lbs; 6th Place Barry N. - 5.04 lbs; 7th Place Richard B. - 3.30 lbs; 8th Place Bill G. - 1.90 lbs; 9th Place Vinnie P. - 1.59 lbs; 10th Place n/a; Lunker Bob S. - 3.40 lbs dnp - Noah H.
Hopatcong 1st Place Bob S. - 4.45 lbs; 2nd Place Vinnie P. - 3.25 lbs; 3rd Place Frank M. - 2.53 lbs; 4th Place Rich B. - 2.44 lbs; 5th Place Bill G. - 1.84 lbs; 6th Place George K. - .94 lbs; 7th Place Ralph S. - .90 lbs; 8th Place - n/a; 9th Place - n/a; 10th Place n/a; Lunker Bob S. - 2.00 lbs dnp - Dan K.